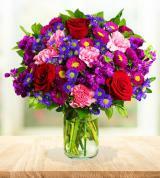 At Avas Flowers, we believe there is no better way to say you’re sorry than with an appealing bouquet of flowers. 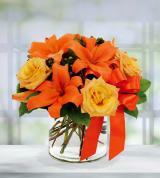 Flowers have the power to smooth over hard feelings and put an immediate end to an argument. In short, they are the perfect complement to a sincere apology. 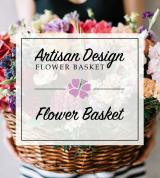 Flowers of many types, sizes and colors are available in our online selection. You’re sure to find a bouquet that beautifully expresses your feelings of remorse. So, is it time to say you’re sorry? Flowers from our stunning selection can help! Chrysanthemums, carnations, gerbera daisies, and, of course, traditional roses are just a sampling of the blooms we use to create our bouquets. 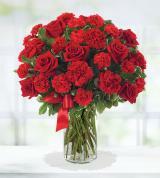 All of our floral creations emphasize the feelings you send with an apology. Flowers and greenery combine to bring to a smile to a loved one’s face the moment they arrive at the door. When a particular bouquet in our inventory catches your eye, you can choose a standard, deluxe, or premium arrangement. 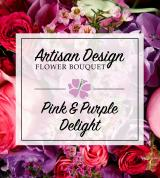 If you order the premium option, your friend or loved one will receive a full bouquet of colorful blooms. The standard version of the same bouquet contains fewer blooms but just as much color! All of our arrangements make the perfect flowers for apology. 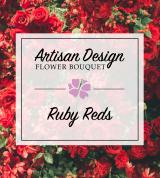 We are proud to offer beautiful blooms at reasonable prices. 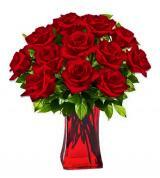 You may want to check our online selection each day for the latest sales on our flowers. “Sorry” bouquets in our selection may be built around a color theme or created to spotlight a particular type of flower. Each imaginative arrangement arrives in an attractive container in the form of a colorful vase, a pot, or even a basket. When you buy flowers for a loved one, you are also giving them a decorative keepsake. While you’re shopping for a bouquet of flowers to say you’re sorry, look for the same-day delivery option. At Avas Flowers, we’ve established a reputation for providing quality flower arrangements as well as fast delivery across the country. Check out all of the details regarding delivery in the description accompanying each flower bouquet. Although sending flowers is a great way to say you’re sorry, flowers paired with a sweet treat will certainly get your point across. 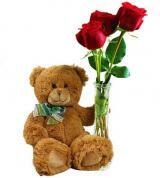 Peruse our selection and you may find flowers available with a box of chocolates, a stuffed animal, or both! Our bouquets are all the more special with an edible treat or a fluffy keepsake. We are happy to answer any questions about our bouquets. Simply fill out the online form so we can offer you individual assistance. You may also consult our FAQ page to find answers there. Remember, when you’d like to send a bouquet of flowers to say sorry, trust the talents of our floral designers at Avas Flowers.